Victor DuPuis, candidate, Unionville-Chadds Ford Board of Education. Tone and method make a difference — and being more interested in proving one’s self right rather than listening to others could be the wrong approach in these difficult times, says one candidate for school board. If elected to the Unionville-Chadds Ford Board of Education, Victor DuPuis said he hoped to follow the example of Dr. Corrine Sweeney — the long-time board member retiring after 18 years on the board — in conducting himself: thoughtful, level-headed and someone who listens to the broad population of the school district. 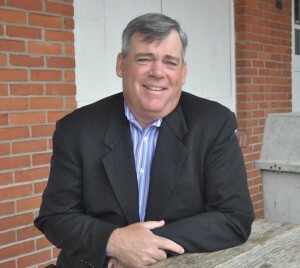 DuPuis, of East Marlborough is seeking a Region A (East Marlborough, West Marlborough) seat on the board for the second straight election cycle, losing a bid in 2009. In May, 2011, he came within six votes of sweeping the Democratic and Republican nominations for the seat over Rob MacPherson. MacPherson did win the GOP nod (his profile will run later this week). After a number of divisive issues have split the community, whether it be over the high school renovation, the teachers’ contract or discussions about reworking the districts’ four elementary schools, DuPuis said he thinks the district needs a calm voice, someone who will listen to the various constituencies and understand that there are any number of folks that still aren’t happy with the school district. “I think there is still some latent anger about the school renovation project,” he said. Despite a year or more of controversy — and some in the community would argue a number of years, dating to before the high school renovation project — DuPuis said he thinks the current board has made progress on a number of fronts, specifically citing communication, internally, and to some extent, externally. DuPuis also makes it clear that he thinks Dr. John Sanville is an excellent choice to replace the retiring Sharon Parker as Superintendent of Schools. He says he doesn’t feel that he’d bring a sea-change to the district if elected, but would want to continue the steady approach shown by Sweeney. Of course, he acknowledges that the district will continue to face major challenges — that issues such as the next teachers’ contract, looking at reconfiguration of the elementary schools, revenue drops and other issues that have plagued the board for the last couple of years will continue. In addition, he notes that a combination of overcrowding and building age means that Patton Middle School will have to be addressed at some point in the near future. And there will likely be some controversy over the idea of allowing sponsorships and/or naming rights for school district facilities to increase revenue. DuPuis makes an interesting argument about school taxes: he suggests that one could argue they’re actually down — at least for some members of the community. That’s clearly the case for those who have had their property reassessed — typically those property owners have seen their taxes drop by about 10%. Between those reassessments and drops in the transfer tax — a tax paid when a property changes hands — the district cut spending. So while those who have not sought a property tax reassessment are paying more, those who have are paying less. By his example, a homeowner who got a 10% reduction in assessment (the typical figure seen in Chester County) and then saw a 2% increase in millage would still only be paying 91.8% of their previous tax rate, DuPuis notes. He also thinks that another problem this and other districts are working through may begin to resolve itself in the coming years: because districts such as Unionville needed to staff up rapidly in the 70s and 80s, as the area rapidly grew, a large number of teachers were hired at that time and many of those same teachers are now approaching retirement. DuPuis said he thinks that as much as 30% to 40% of the teaching staff will retire in the next few years, potentially dropping payroll and benefit costs for the first time in memory, as highly paid experienced teachers are replaced with younger, less expensive teachers. “I think that will give us less pressure on the revenue side,” he said. And he made it clear he supports the idea of finding additional outside revenue from naming rights and carefully-vetted public/private partnerships. DuPuis has lived in Unionville since 1990. His wife Faith is a Unionville High School graduate, as are three of his four children. A fourth currently attends Unionville High School. DuPuis has been active in coaching various sports groups, working music and performance groups. He owns a financial planning business, which is currently in the process of relocating to Unionville. EDITORS NOTE: This is the second in a series of profiles of the Board of Education candidates. Next up: Kathleen Meehan Do.